Law professor Geoffrey Stone had been saying a racial epithet in his First Amendment class for over 40 years to explain the “fighting words” doctrine. After a spontaneous and emotional conversation with several Black Law students in the Law School’s main lounge last week, he has decided to stop. 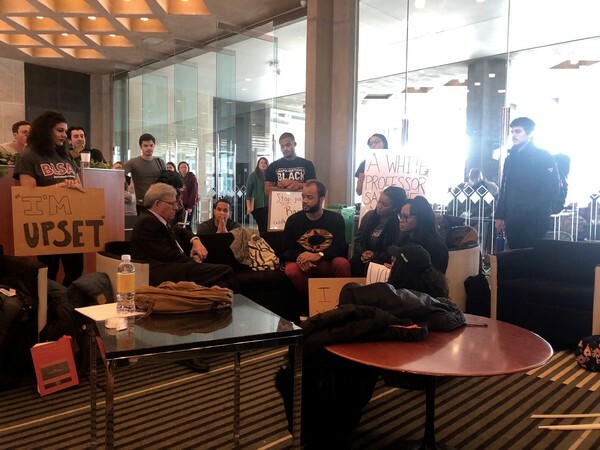 Following heated discussions about a recent op-ed sharply critical of Stone’s use of the slur, several members of the Black Law Students Association (BLSA) decided to demonstrate in the main lounge last Wednesday. In addition to protesting Stone’s use of the racial epithet, BLSA members wanted to share their frustration after years of trying to push forward various diversity initiatives through the Law School administration. BLSA protests Stone's use of the racial epithet. What began as a small demonstration of 15 BLSA members grew to a crowd of almost 200 students and faculty members. When Stone happened to walk in during the demonstration, BLSA members asked him to listen as they explained in impassioned speeches the harm that hearing the slur in class can cause. Less than an hour later in lecture, Stone announced that he would no longer say the slur in class. 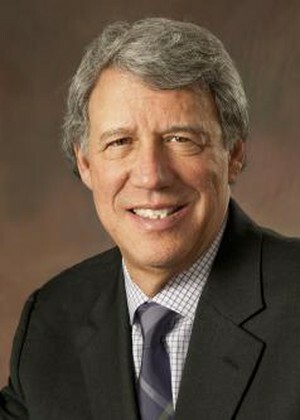 The decision marks a shift in the perspective of Stone, a former dean of the Law School and provost of the University, who has written extensively about protecting free speech rights and chaired the committee that drafted the University’s Chicago Principles document on free expression in 2014. It also marks a departure from how University administrators have interpreted the University’s avowed dedication to free expression. Administrators have generally held that students’ emotions are not a sufficient reason to limit information. Stone claims that national and on-campus calls to limit the use of the slur in academic settings have grown more vocal in recent decades, but that he was not influenced by public backlash, and instead made his decision after witnessing and hearing the strong emotions of the Law students who talked to him. Stone is currently best-known as one of the foremost free speech scholars nationwide. Last December, he published his most recent book on the evolution of free speech doctrine. The book was co-authored with Columbia University President Lee Bollinger, who has taken a stance on free speech similar to that of UChicago President Robert J. Zimmer. For over 40 years, Stone has been telling the same anecdote to his First Amendment class and at guest lectures at other schools when teaching the fighting words doctrine. This doctrine holds that expressions of words that incite violence are not constitutionally protected by the First Amendment. Stone would tell the anecdote as follows: In class over 40 years ago, a Black student said that the fighting words doctrine is outdated because words long deemed as “fighting words” no longer provoke violence. A white classmate then called the Black student the slur, saying, “That’s the stupidest thing I’ve ever heard.” This prompted the Black student to reach over and grab the white classmate by the neck. 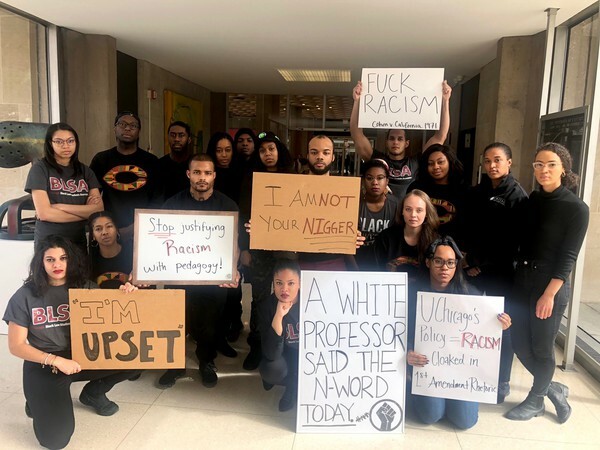 Stone believes the white student’s use of the slur and the Black student’s response in that moment precisely demonstrate the continued relevance of the fighting words doctrine. In an interview with The Maroon late last week, Stone explained why he had been using the full epithet when telling the anecdote. “It’s important, If you’re teaching a legal concept, to use the words that are the subject of the legal prohibition and to ask, ‘should they be [legally prohibited]?’” For Stone, an important part of discussing why certain words are prohibited is to confront the harm that they can cause by saying the words in full. Stone said that his past stance was consistent with the norm of other contemporary legal scholars, citing Randall Kennedy, a Black professor at Harvard Law School. Kennedy wrote an op-ed in The Chronicle of Higher Education last month criticizing the administration of Augsburg University in Minneapolis for suspending a professor who said the racial slur in class when discussing literature by James Baldwin, and has also written a book specifically about the slur. Kamara Nwosu, vice president of BLSA, said in an interview with The Maroon that students are often intimidated to confront professors about their teaching. 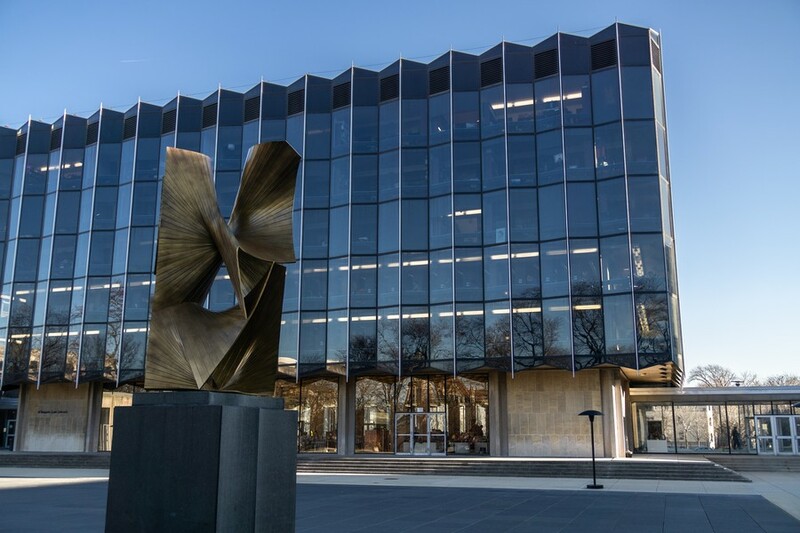 Lampley and Nwosu, who had heard from other students about Stone’s use of the epithet in January, had brought it up with Charles Todd, the dean of students in the Law School. He "said that [administrators] can’t take a stance and can’t reprimand faculty for the speech they decide to use as long as they’re not disruptive to the Law School,” Lampley said. The GroupMe debate prompted BLSA members to stage an impromptu demonstration in the main lounge the next morning, Lampley and Nwosu said. They wanted to incite the administration to act and also show other students what Black students’ experiences at the Law School have felt like. At lunchtime, Stone happened to pass through the main lounge to buy lunch and several BLSA members asked to speak with him about his use of the slur. They sat down, and in the ensuing 30-minute conversation, which drew nearly 200 students and faculty members, Stone listened to BLSA members explain at length the harm that hearing the slur in class can cause. The conversation drew almost 200 students and faculty members. By the end of the conversation, emotions were high and several students were in tears. Stone said that he would consider whether to stop saying the epithet. After talking with the Law students, Stone had less than an hour before his First Amendment class. Though Raban’s op-ed did raise strong criticisms against Stone, Stone maintains that he decided to stop saying the slur not in fear of public backlash, but after being persuaded by the Law students in the lounge. Nwosu said she has a “mixed bag” reaction to Stone’s announcement that he would stop saying the epithet. She said she believed BLSA had “achieved something small,” but was disappointed that Stone had only announced his decision in class and had not officially communicated to BLSA his decision. Editor’s note: The Maroon avoids gratuitous use of racial slurs. We publish such words only when they are essential to understanding the story. We did not publish the epithet in question in this article because the article provides sufficient context. See the Associated Press’ policy on obscenities, profanities, and vulgarities for reference. The article has been updated to make clear that the statement that administrators “can’t take a stance and can’t reprimand faculty for the speech they decide to use as long as they’re not disruptive to the Law School" is attributed to Lampley. In response, Stone mockingly asked if he was allowed to say "jackass."